Universal aspirations, especially when impeded and suppressed in their free manifestation, die out but to return with tenfold power. They are cyclic, like every other natural phenomenon, whether mental or cosmic, universal or national. Dam a river in one place, and the water will work its way into another, and break out through it like a torrent. One of such universal aspirations, the strongest perhaps in man's nature, is the longing to seek for the unknown; an ineradicable desire to penetrate below the surface of things, a thirst for the knowledge of that which is hidden from others. Nine children out of ten will break their toys to see what there is inside. It is an innate feeling and is Protean in form. It rises from the ridiculous (or perhaps rather from the reprehensible) to the sublime, for it is limited to indiscreet inquisitiveness, prying into neighbours' secrets, in the uneducated, and it expands in the cultured into that love for knowledge which ends in leading them to the summits of science, and fills the Academies and the Royal Institutions with learned men. But this pertains to the world of the objective. The man in whom the metaphysical element is stronger than the physical, is propelled by this natural aspiration towards the mystical, to that which the materialist is pleased to call a "superstitious belief in the supernatural." The Church, while encouraging our aspirations after the holy – on strictly theological and orthodox lines, of course – condemns at the same time the human craving after the same, whenever the practical search after it departs from its own lines. The memory of the thousands of illiterate "witches," and the hundreds of learned alchemists, philosophers and other heretics, tortured, burnt, and otherwise put to death during the Middle Ages, remains as an ever-present witness to that arbitrary and despotic interference. the truths of Christianity;2 the second, that the most illustrious men of science were all alchemists, astrologers and magicians, witness Paracelsus, Van Helmont, Roger Bacon, etc. But consistency has never been a virtue of Modern Science. It has religiously believed in all which it now denies, and it has denied all that it now believes in, from the circulation of the blood up to steam and electric power. ingeniously veiled a portion of that religion of the Pantheists under the mask of monotheism. Reformers, have vainly sought to fill in with their far-fetched interpretations. Yet all the early Christians, Paul and the Gnostics, regarded and proclaimed the Jewish law as essentially distinct from the new Christian law. St. Paul called the former an allegory, and St. Stephen told the Jews an hour before being stoned that they had not even kept the law that they had received from the angels (the æons), and as to the Holy Ghost (the impersonal Logos or Christos, as taught at Initiation) they had resisted and rejected it as their fathers had done (Acts vii.). title of Kadeshim (Kadosh sing.) means in reality something quite different from saints, though it is generally explained as "priests," the "holy" and the "Initiated";for the Kadeshim were simply the galli of the abominable mysteries (Sod) of the exoteric rites. They were, in short, the male Nautches of the temples, during whose initiations the arcanum,the Sod (from which "Sodom,"
perchance) of physiological and sexual evolution, were divulged. These rites all belonged to the first degree of the Mysteries, so protected and beloved by David – the "friend of God." They must have been very ancient with the Jews, and were ever abominated by the true Initiates; thus we find the dying Jacob's prayer is that his soul should not come into the secret (Sod,in the original) of Simeon and Levi (the priestly caste) and into their assembly during which they "slew a man" (Genesis xlix. 5, 6).4 And yet Moses is claimed by the Kabalists as chief of the Sodales! Reject the explanation of the Secret Doctrine and the whole Pentateuch becomes the abomination of abominations. sacred books – the numeral system with the Jews is, as the author of Hebrew Metrology tells us, the Holy Writ itself: "That very thing, in esse,on which, and out of which, and by the continuous interweaving use of which, the very text of the Bible has been made to result, as its enunciation, from the beginning word of Genesis to the closing word of Deuteronomy." and so referred to in the Upanishads. hence no such correspondences are to be found in the reading of their sacred canon. The real Mosaic Jews of the Sodales, whose direct heirs on the line of initiation were the Sadducees, had no spirituality in them, nor did they feel any need for it apparently. personality long survived the death of the physical body; the spirit alone is immortal. But this sentence in Job, the oldest document in the Bible, makes only the more brutally materialistic that in Ecclesiastes, iii, 19, et seq., one of the latest records. The writer, who speaks in the name of Solomon, and says that "that which befalleth the sons of men befalleth beasts, even . . . as the one dieth, so dieth the other . . . so that a man hath no preëminence above a beast," is quite on a par with the modern Hæckels, and expresses only that which he thinks. Therefore, no knowledge of Kabalistic methods can help one in finding that in the Old Testament which has never been there since the Book of the Law was re-written (rather than found) by Hilkiah. Nor can the reading of the Egyptian symbols be much helped by the mediæval Kabalistic systems. Indeed, it is but the blindness of a pious illusion that can lead anyone to discover any spiritual and metaphysical correspondences or meaning in the Jewish purely astro-physiological symbology. On the other hand, the ancient pagan religious systems, so-called, are all built upon abstracts spiritual speculations, their gross external forms being, perhaps, the most secure veil to hide their inner meaning. the possession and use of which, it could be said of Abram: 'Blessed of the Most High God, Abram, measure of heaven and earth'" – the "creative law of measure." the specific use and power of such interchange. [Just so! In the second place these characters stood for numbers – to be used for numbers as we use specific number signs – though also there is very much to prove that the old Hebrews were in possession of the so-called Arabic numerals, as we have them, from the straight line I to the zero character, together making 1 + 9 = 10. . . . In the third place, it is said, and it seems to be proved, that these characters stood for musical notes; so that, for instance, the arrangement of the letters in the first chapter of Genesis, can be rendered musically or by song.8 Another law of the Hebrew characters was that only the consonantal signs were characterized – the vowels were not characterized, but were supplied. If one will try it he will find that a consonant of itself cannot be made vocal without the help of a vowel;9 therefore . . . the consonants made the framework of a word, but to give it life or utterance into the air, so as to impart the thought of the mind, and the feelings of the heart, the vowels were supplied. Now, even if we suppose, for argument's sake, that the "framework," i.e., the consonants of the Pentateuch are the same as in the days of Moses, what changes must have been effected with those scrolls – written in such a poor language as the Hebrew, with its less than two dozens of letters – when rewritten time after time, and its vowels and points supplied in ever-new combinations! No two minds are alike, and the feelings of the heart change. What could remain, we ask, of the original writings of Moses, if such ever existed, when they had been lost for nearly 800 years and then found when every remembrance of them must have disappeared from the minds of the most learned, and Hilkiah has them rewritten by Shaphan, the scribe? When lost again, they are rewritten again by Ezra; lost once more in 168 B.C. the volume or scrolls were again destroyed; and when finally they reappear, we find them dressed in their Massoretic disguise! We may know something of Ben Chajim, who published the Massorah of the scrolls in the fifteenth century; we can know nothing of Moses, this is certain, unless we become – Initiates of the Eastern School. Ahrens, when speaking of the letters so arranged in the Hebrew sacred scrolls – that they were of themselves musical notes – had probably never studied Âryan Hindû music. In the Sanskrit language there is no need to so arrange letters in the sacred ollas that they should become musical. For the whole Sanskrit alphabet and the Vedas, from the first word to the last, are musical notations reduced to writing, and the two are inseparable.10 As Homer distinguished between the "language of Gods" and the language of men,11 so did the Hindus. enunciations of things known. As to metrology, instead of a valuable adjunct to the Biblical system . . . the entire text of the Holy Writ in the Mosaic books is not only replete with it as a system, but the system itself is that very thing, in esse,from the first to the last word. For instance, the narratives of the first day, of the six days, of the seventh day, of the making of Adam, male and female, of Adam in the Garden, of the formation of the woman out of the man, of . . . the genealogy of Ararat, of the ark, of Noah with his dove and raven, . . . of Abram's travel from Ur . . . into Egypt before Pharaoh, of Abram's life, of the three covenants, . . . of the construction of the tabernacle and the dwelling of Jehovah, of the famous 603,550 as the number of men capable of bearing arms, . . . the exodus out of Egypt, and the like – all are but so many modes of enunciation of this system of geometry, of applied number ratios, of measures and their various applications. Christian Church has never attributed to these books any property beyond this; and herein has existed its great error. greater Kabalist was born among the sons of men than the late Éliphas Lévi – a charming and witty writer, who, however, has more mystified than taught in his many volumes on Magic. Let not the reader conclude from these statements that real, learned Kabalists are not to be found in the Old and New Worlds. There are initiated Occultists, who are Kabalists, scattered hither and thither, most undeniably, especially in Germany and Poland. But these will not publish what they know,nor will they call themselves Kabalists. The "Sodalian oath" of the third degree holds good now as ever. transformations. In a word, the real, genuine Kabalah, the only original copy of which is contained in the Chaldean Book of Numbers, pertains to, and teaches about, the realm of spirit, not that of matter. notwithstanding the ancient boast that not one letter in the Sacred Scroll, not an iota, has ever been changed – so no Kabalistic methods can help us by reading in it anything besides what there is in it. He who does it is no Kabalist, but a dreamer. seven veils or the seven truths, orally revealed at Initiation. Of these methods, pertaining to the universal pictorial languages – meaning by "pictorial" any cipher, number, symbol, or other glyph that can be represented, whether objectively or subjectively (mentally) – three only exist at present in the Jewish system.13 Thus, if Kabalah as a word is Hebrew, the system itself is no more Jewish than is sunlight; it is universal. On the other hand, the Jews can claim the Zohar, Sepher Yetzirah (Book of Creation), Sepher Dzeniuta,and a few others, as their own undeniable property and as Kabalistic works. pronounce a foreign name or word but in an Englishified way, to write the term simply Kabalah seems less pretentious and answers as well. Christ than magic and the Cabbalah'." The reason why will be shown in the present article. 3 This is just what the Gnostics had always maintained quite independently of Christians. In their doctrines the Jewish God, the "Elohim," was a hierarchy of low terrestrial angels – an Ildabaoth, spiteful and jealous. 4 To "slay a man"meant, in the symbolism of the Lesser Mysteries, the rite during which crimes against nature were committed, for which purpose the Kadeshim were set aside. Thus Cain "slays" his brother Abel, who, esoterically, is a female character and represents the first human woman in the Third Race after the separation of sexes. See also the Source of Measures, pp. 253, 283, etc. specific rules. . . . for raising the dead, and actually – the devil. . . . Discovery has yet to be made of what Cabbalah really consists, before any weight or authority can be given to the name. On that discovery will rest the question whether the name should be received as related to matters worthy of rational acknowledgement." "The writer claims that such a discovery has been made, and that the same embraces rational science of sober and great worth." "The Cabbalah," from the Masonic Review for September, 1885, by Brother J. Ralston Skinner (McMillian Lodge, No. 141). 6 Even as it stands now, the Kabalah, with its several methods, can only puzzle by bring several versions; it can never divulge the whole truth. The readings of even the first sentence of Genesis are several. To quote the author: "It is made to read 'B'rashith barâ Elohim,' etc., 'In the beginning God created the heavens and the earth,' wherein Elohim is a plural nominative to a verb in the third person singular. Nachminedes called attention to the fact that the text might suffer the reading, 'B'rash ithbarâ Elohim,' etc., 'In the head (source or beginning) created itself (or developed) gods, the heavens and the earth,'really a more grammatical rendering." (Ibid. )And yet we are forced to believe the Jewish monotheism! 7 Before Seyffarth can hope to have his hypothesis accepted, however, he will have to prove that (a)the Israelites had an alphabet of their own when the ancient Egyptians or Copts had as yet none; and (b) that the Hebrew of the later scrolls is the Hebrew, or "mystery language" of Moses, which the Secret Doctrine denies. 8 Not the Hebrew helped by the Massoretic signs, at all events. See further on, however. 9 And therefore as the vowels were furnished ad libitum by the Massorets they could make of a word what they liked! 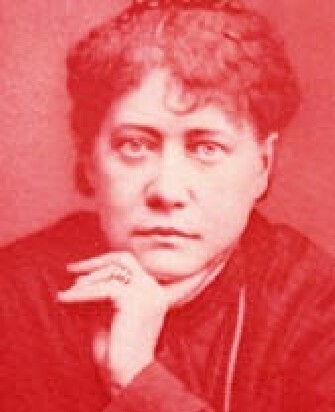 10 See Theosophist,November, 1879, article Hindû Music, p. 47. 11 Thes. xiv. 289, 290.
the Hebrew, which followed the system, but could apply it only in a very limited way. If either of the two languages were taught to humanity by the Gods, surely it is rather Sanskrit – the perfect of the most perfect languages on Earth – than Hebrew, the roughest and the poorest. For once we believe in a language of divine origin, we can hardly believe at the same time that angels or Gods or any divine messenger should have selected the inferior in preference to the superior. 13 Of these three not one can be made to apply to purely spiritual metaphysics. One divulges the relations of the sidereal bodies to the terrestrial, especially the human; the other relates to the evolution of the human races and the sexes; the third to Kosmo-theogony and is metrological.